After years of denying its flagship product Roundup causes cancer, the Monsanto Company has officially been found guilty in federal court, after a San Francisco jury ruled in favor of a school groundskeeper dying from the disease. 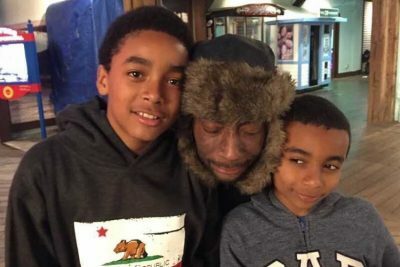 Dewayne Johnson, who has long served as a pest control manager in a San Francisco Bay Area school district, was diagnosed with lymphoma in 2014 at age 42. But now doctors say he only has months to live after his exposure to Roundup, the chemical weedkilling cocktail with active ingredient glyphosate deemed a “probable human carcinogen” by the World Health Organization’s International Agency for Research on Cancer in 2015. After a four-week deliberation, the jury returned the landmark verdict: Monsanto has acted “with malice or oppression” toward Johnson, a verdict that was unanimously reached against the chemical and GMO giant. Johnson, who goes by the nickname “Lee” and is a father of three, will now be awarded a total of nearly $290 million from the company — $2.3 million in economic losses, $37 million for pain and emotional distress, and $250 million in punitive damages. He suffers from non-Hodgkin’s lymphoma due to the his exposure to Roundup and another Monsanto product, Ranger Pro, during his years on the job according to the lawsuit as noted in this report from NBC News. Jurors deliberated for three days on the case, the article said, before finding that the corporation failed to properly warn Johnson and other consumers about the risks posed by its chemical products. In an attempt to heal his cancer, Johnson has undergone chemotherapy recently and has been considering a bone-marrow transplant as well. One of his doctors testified that he is unlikely to survive until 2020, and others have said he only has mmonths to live according to a report from Sustainable Pulse. Monsanto for its part denied the allegations, and an oncologist testifying on the company’s behalf said that he might survive for decades according to his medical records. As much as 80% of his body is covered in lesions from exposure to the chemicals. With Roundup still on the market and devoid of cancer labels in the vast majority of all states, the focus now shifts to its future status, as well as the roughly 4,000 people still suing Monsanto for similar reasons to Johnson. Bans on the chemical have reached the planning stages in various parts of Europe, but it’s still a top-selling garden product here in the United States. The hope among many in the natural and organic movement is that Johnson’s trial could be the beginning of the end for Roundup and the lab-created GMO crops Monsanto and Bayer have created to withstand it. In the meantime, be sure to avoid your exposure as much as humanly possible — the stories of Johnson and thousands of his peers clearly show that this is one controversy that isn’t going away anytime soon, and that Roundup is far more dangerous that Monsanto and Bayer would like us to believe.